the preacherswife is the one on the right! Who is to say what that look is? Mostly media experts, model makers and all the mean girls at school! It is usually those mean girls who dictate the live or die world young girls try to survive in. I was not any different. Although, I never really remember being told I was pretty I just never doubted it either. My mom was beautiful, with auburn hair and big pretty smile. My dad was handsome. In my perfect world they were John and Olivia Walton, perfect and loving. My big brother was so cute and cool, a man’s man. My two sisters were both gorgeous, one had my mothers big eyes and smile and the other had dark hair and crystal blue eyes. Stunning! So who was I to question my beautifulness!?! I was the baby of the family too so, it goes without saying, I was pretty rotten! Emphasis on the was! I grew up in the shadow of beautiful strong women for which I am very proud. But, even though I knew I wasn’t hideous, I always felt like an ordinary girl. This is not an admission of a sad lonely person. I take great pride in my ordinariness and it has been a badge of courage for me. I think there is a lot of baggage that goes with the limelight and for me it has been a life worthy of satisfaction and peace. It’s not to say I didn’t have times of jealousy toward those popular girls, they seemed to always have it all going on. 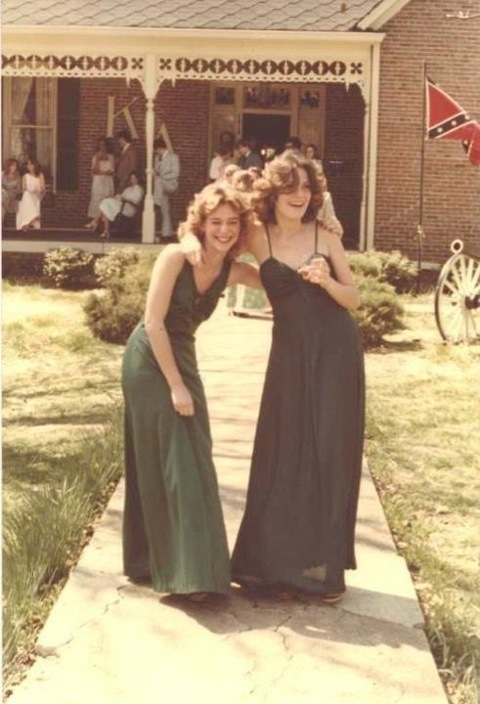 At my hometown high school we had sororities and fraternities so the coolest of the cools were the Greeks. I was friends with them all. Never making waves was my motto. By the time I entered college I realized where the place to be was at the fraternity house. Didn’t take a rocket scientist to figure that one out. So, soon, I was chosen to be a little sister for a great group of Southern Gentleman! What fun, ready-made boy-friends, so to speak and I was in my element — flirty fun with no pressure or strings attached. I fell into the lil’ sister role pretty easy. Those guys were sweet and protective and those days were the best. Pretty good for an ordinary girl! ordinary as in, flying low and under the radar? lol I heard that somewhere very recently. I have to admit…. Me too! She says humbly! That was back when my life was so simple ahhhh youth!